During opening weekend, I took my daughter to see the new Disney/Pixar movie, Coco. It’s a movie she’s been looking forward to seeing for almost a year, since the trailers for the new movie came out quite some time ago. I didn’t have much expectations for the movie, as I figured it would be similar to a previous animated film, Book of Life, another film centered around Día de los Muertos, or the Day of the Dead. But the movie is completely different, and definitely worth a viewing. As I watched the film Coco with my 12 year old, I began to realize that many of the practices and beliefs that were being practiced by the Mexican families were similar if not identical to many practices that we performed for my deceased ancestors as a Chinese/Taiwanese immigrant family in the United States. Before I make the comparisons, I’ll remind readers that discussing the dead, or customs and practices around death is generally considered taboo in Chinese culture. But I have previously broken this taboo by writing about Chinese funerary customs, so I’ll wander again into dangerous waters. If you’re from a Chinese family, you might want to refrain from talking about this topic with the elders in your family. In fact ghosts and the supernatural are generally still considered forbidden topics in mainland China, and it was a surprise that Coco made it past Chinese censors without any edits. One of the major Chinese holidays is also known as 盂蘭節 or Ghost Festival. The holiday is sometimes called Chinese Halloween, and is very similar to the Mexican Day of the Dead. I remember when I was growing up, that my mom would set up an altar on major Chinese holidays, like the Ghost Festival, and the center of the altar would have the photographs of the deceased ancestors. We would burn incense, and joss paper and lay out food offerings, typically oranges and cooked rice with other dishes for the deceased, so they would have food and money in the afterlife. We would eat the food it had been left out for a long time, long enough for the deceased to partake their portion of the food. It’s common for Chinese to burn paper replicas of cars, boats, houses, etc. for the deceased to have these things in the afterlife. Similarly on the Day of the Dead, in Coco, there’s a strong importance to having the photograph of the family ancestor placed in the family ofrenda. The belief in Coco, is that if your photograph is not in the family ofrenda, you won’t be able to pass over on the Day of the Dead to visit your relatives. You’re essentially forgotten. In Coco, if you’re forgotten, your spirit will disappear from the afterlife and cease to exist when the last person who remembers you dies in the real world. Similar to Chinese culture, the Mexicans lay out food for the deceased, so they’ll have food in the afterlife. The amount of food the deceased have in the afterlife varies by how much they were remembered and offered food in the real world. So a popular singer, like the character Ernesto de la Cruz in the movie Coco, had an abundance of food in the afterlife from all his devoted living fans, while Hector, who was forgotten had none. By the end of the movie, these similarities between the two cultures got me wondering if they arose from the same source. My guess is yes, since at the end of the movie Coco, there was a disclaimer saying the beliefs around the Day of the Dead, had roots in Mexican and indigenous peoples. And with the knowledge that indigenous peoples traveled from Asia to settle in the Americas, I think we’re fairly safe in assuming these beliefs have a common beginning. In case you haven’t seen Coco yet, won’t spoil any more of the movie for you, but I will say it’s one of the best kids movies I’ve seen in a while, and well worth the price of admission. Our very own Akrypti has been quite busy since she went on a hiatus from covering APA social politics for 8Asians. She’s taken the tarot world by storm with her first book Holistic Tarot: An Integrative Approach to Using Tarot for Personal Growth back in 2015. Since its publication, Holistic Tarot became a bestseller in its category and has gone on to win four prominent book awards. Now Akrypti—I mean Benebell—is coming out with her second book, one that circles back to her heritage and roots. The Tao of Craft: Fu Talismans and Casting Sigils in the Eastern Esoteric Tradition covers the history and cultural practice of Fu talismans, a form of sigil spell-casting, from its shamanic roots during the Xia, Shang, and Zhou Dynasties (roughly 2100 BC to 256 BC) and through its peaks in practice to the suppression and castigation of it during the Qing. 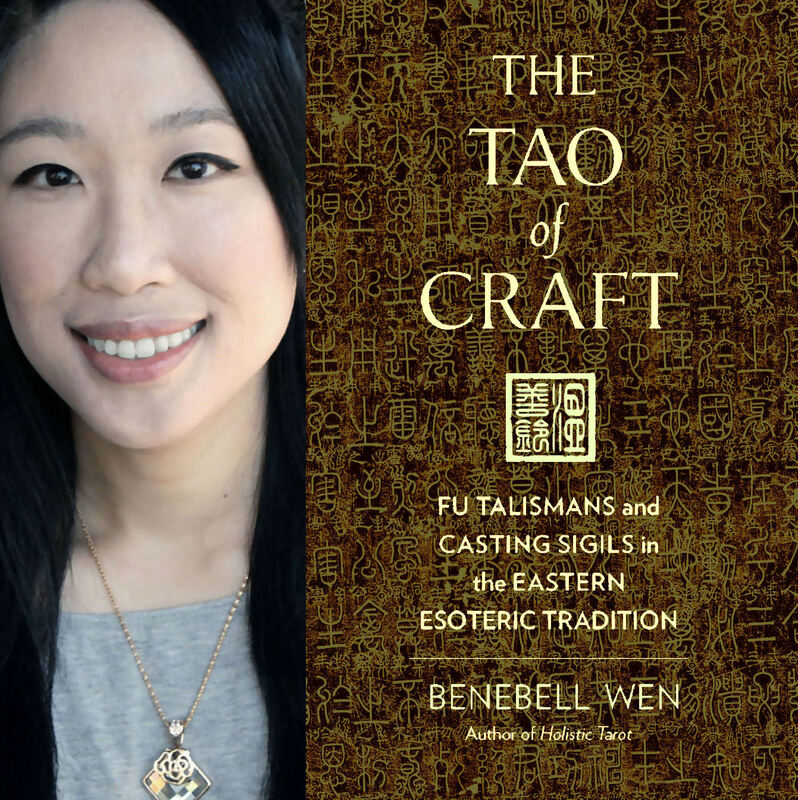 More importantly, The Tao of Craft is arguably one of the first books published in the English language to cover the practical and instructional aspects of crafting Fu talismans and East Asian metaphysics, sorcery, and witchcraft. At 600 pages, The Tao of Craft is a tome of a book. I sat down with my old friend Akrypti—again, I mean Benebell Wen—to talk about her second publication. The book will be out in stores September 27, but you can pre-order now on Amazon, Barnes & Noble, Penguin Random House, or through your favorite bookstore. JOZ: So we’ve been good friends and have known each other through 8Asians for over a decade. Yet it was only a few years ago that I learned you were into metaphysical practices. Can you tell me more about that? BELL: I’ve been into that kind of thing as early as I can remember and read books on these topics as soon as I gained literacy. Prior to the publication of Holistic Tarot, you’re right, I didn’t talk about these interests with others, and post-publication of the tarot book, I was thrust out of the shadows and put in a situation where I had to talk about it to promote my new book. That happened before I was actually ready for it, so it was interesting. The Tao of Craft, I feel, is relevant to the Asian American community, which is why I think I’m okay with the Akrypti and Benebell link now. It’s relevant not just because I cover esoteric Taoism from a Chinese historic and cultural perspective, but for another funny little reason. You don’t see many Asian Americans writing prominently about esoteric Taoism. By and large publications on this topic are by white men (or native Chinese people who co-author with, you guessed it, white men). Ceremonial magic generally, whether you’re referring to Western mystery traditions or Eastern, is dominated by white men. That in part motivated me to speak up and attempt to have my voice heard in such an arena. I’m also hoping The Tao of Craft will appeal to Asian Americans. JOZ: Why do you think The Tao of Craft is important for the Asian American community? BELL: I can only tell you why this book was important for me. It brought me closer to my ethnic and cultural roots. I gained an appreciation for the depth and breadth of Chinese spiritual history. In so many ways, understanding all that I’ve come to understand through the research and writing of The Tao of Craft, I’m even prouder now of my heritage than I was before. For me, there’s something activist about reclaiming long-neglected spiritual traditions. The book is a resource for Asian Americans who want to reconnect with those roots. To get a taste of the book, check out this appendix, which is a summary of the history of Taoism that I touch upon in The Tao of Craft. You can read more excerpts from the book here. JOZ: Why do you think Asian Americans, most of whom I presume are not practitioners of Taoist magic, would be interested in this book? BELL: The bulk of the book is research. It’s about history. We start with Neolithic shamans and archeological findings of oracle bones in northern China and how that became integrated into the talismanic practices of Taoist priests. We touch upon the political activism of Taoist ceremonial magicians during the Yellow Turban Rebellion. Many of the Eight Immortals were historically documented figures that later became mythologized. The legends we grow up with about how the Chinese civilization was founded by the Yellow Emperor involve magical battles and spell-crafting. Magic and esotericism are intertwined with military strategy. We look at several well-known Taoist magical lineages or mystery traditions and how they influenced Chinese history. Why are Buddhist and Taoist practices often intertwined? What are the origins of the Chinese lunar calendar? To me, the Chinese metaphysical principles of Qi, yin and yang, the Wu Xing, Ba Gua, He Tu and Lo Shu are provocative. As a Chinese/Taiwanese American, The Tao of Craft pays homage to where I come from. To realize that in the nucleus of who I am is this incredible history feels empowering. If for nothing else, this book should be interesting to Asian Americans for the research aspect. JOZ: Are you afraid that linking your past work under Akrypti with what you’re trying to do now under Benebell Wen will somehow discredit one another? Do you think Asian Americans who resonate with your race politics militancy will be put off by your dabblings in the metaphysical world and fans of your metaphysical work will be put off by your race politics? BELL: Yes, of course. And it’s bound to happen. The only thing that comforts me, even though it doesn’t really comfort me, is everything I’ve written, whether it was under Akrypti here at 8Asians or now through my books, is authentic and sincere to who I am. Also, those who decide one discredits the other aren’t being rational; they’re being emotional. JOZ: So are you a full-time writer now? BELL: No, I am still working as a lawyer full-time, though I’m at work on a third book already and will continue to research and write books on the side. I’m living out that tiger mom’s dream and also my own. The Tao of Craft will be released September 27, 2016. You can pre-order now via Amazon. 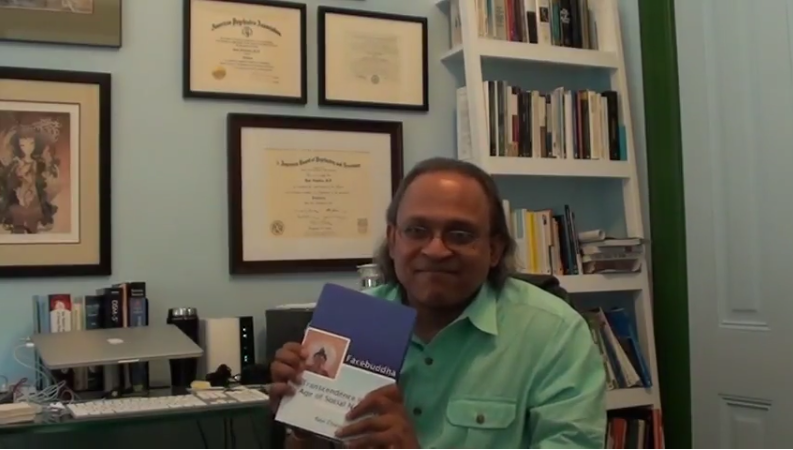 The publisher is currently running a contest and you can win a free copy of the book before its release date. To enter, check out the details here. Deadline for the contest is September 16. Showing in New York until May 22, Kentucky by Leah Nanako Winkler is a tumultuous and energetic ride through the lives of a Kentucky family on the eve of a wedding. It’s a play about home–home and family, for better and for worse. And it’s both over the top theatrical while also sweetly engaging and relatable. We had come to this area primarily for the Arashiyama Bamboo Forest, but we found so much more than we had expected. One of the things about the city of Kyoto is that there’s a UNESCO World Heritage Site around like every corner. We were practically tripping over them. It’s clearly why Harry Truman said no to Kyoto as a target for the nuclear bombings in World War II. I had read that the Tenryu-ji temple, the head temple of Rinzai Zen Buddhism, was in this area and thought we would check it out if we had some time, but we ended up having to park our rented bicycles in the Tenryu-ji temple parking lot. So it ended up being the first place we explored on foot in the area. Aasif Mandvi discusses the identity issues of being Muslim and South Asian with Huffington Post. He and his new book No Land’s Man is also featured on NPR’s Fresh Air. On our way back up to Taipei from southern Taiwan on the bullet train, we made a quick stop in central Taiwan to check out the Baguashan Buddha. It was a cloudy day and the afternoon light was on the wane, but as a result, we got a spectacular view. If you didn’t already know, in Hacienda Heights, Los Angeles County, California sits the largest buddhist temple in the western hemisphere, the Hsi Lai Temple, aptly named to mean “Coming to the West Temple”. It’s a major community center with workshops, summer camps, Chinese school, daycare, and even its own university. There’s also a vegetarian buffet and a tea house on site as well as a museum. The whole place is quite beautiful, and every time I visit, there always seems to be a soft breeze floating through the place no matter how hot the heat wave hitting the Southland. So when I went to Kaohsiung, I had to stop by the Fo Guang Shan Temple, which is basically the main base buddhist organization that Hsi Lai Temple sprouted from. The place has a sort of grandiose ancient aliens feel to it. Luckily, we were there on a cloudy day, which really gave the place a celestial ambiance. Although there was no photography allowed in some places inside, there was plenty to photograph. My family lineage actually comes from south Taiwan (and South China further back), and Kaohsiung is my heritage city on my mother’s side of the family. One of the must-see attractions of the city is the Lotus Pond, which is a large lake that has a series of temples built on it. We stayed at a hotel right next to the Lotus Pond so that we could do a hike around it first thing in the morning on our own before another Taiwan Tour Bus charter took us to a less central destination later that day. Probably the best way to start off the morning is with a hearty breakfast complete with man tao bread. The Pond itself really adds a nice feel to the area with its mirror view of the city and the temples lining its shores. 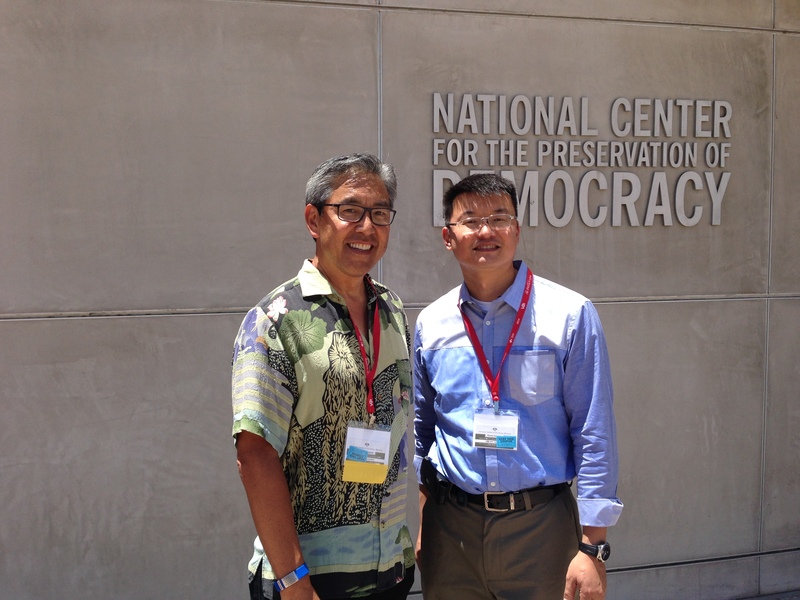 I was fortunate enough to meet Ken Fong of the Ken Fong Project this year during the V3con digital media conference in Los Angeles on June 20-21, 2014. Ken was part of the panel titled “Secrets Online: Topics that are Taboo in Real Life”, where the panelists tackled the issue of writing about things one would not normally talk about in general conversation. Ken passed along an interesting piece of advice, to beware, that if you’re willing to talk about a taboo topic online, you may become the go to person and spokesperson for that issue. Ken Fong is a moderate Baptist pastor and subject of the documentary “The Ken Fong Project”. The documentary covers his journey as he reconciles his beliefs with the way gays and lesbians are being treated by his community. He has compared the way gays and lesbians are treated with the way Jesus was treated by the hyper-religious Jews in biblical times. The initial round of funding for the documentary was completed through Indiegogo, but the documentary team will be looking for additional funding in the near future to help with costs of completing the film. Ken was gracious enough to agree to an 8Questions interview on 8Asians, and the result is after the jump. If you live in the Bay Area or in other urban areas, you may notice that periodically, advertisements go up for a “Shen Yun Performing Arts.” These usually have a picture of a Chinese woman doing some sort of traditional dance like the ones shown (the image shown shown here is not from Shen Yun, though). Sometimes people will be handing out flyers or cards advertising these performance in various public places. Having known nothing about them, I was always curious about this group. In this review of a Shen Yun performance, our founder Ernie talks about his experiences at one of the Shen Yun group’s performances. Ernie points out that Shen Yun is run by people from Falun Dafa (also known as Falun Gong), a religious group suppressed by the Chinese government. He was taken a bit back by the political content and religious content of the show. He did like most of the performances though. This is a just brief summary – they really don’t do justice to what Ernie wrote and it is much more amusing to read those yourself. Which feel out of place after twenty men do a synchronized dance using ancient drums, right? It turns out the production company are a group of exiled Falun Dafa practitioners based in New York City. They’ve been exiled because one man’s pathway to enlightenment is another man’s evil cult. After all, Shen Yun is not allowed to perform in China, which they remind you about by the emcees, in programs, and in their finale which I’ll get to later. None of this is advertised, as a person meditating on a bus stop with large text saying “COME LEARN ABOUT HOW OUR BUDDHIST-BASED DOCTRINE IS OPPRESSED” will not bring as much old people through the doors than, say, a pretty girl with silk sleeves leaping through the air. For his efforts, the Shen Yun group did tweet him and thank him for the review. This surprised him somewhat, as the review wasn’t exactly glowing. Perhaps they are of the school that any publicity is good publicity.